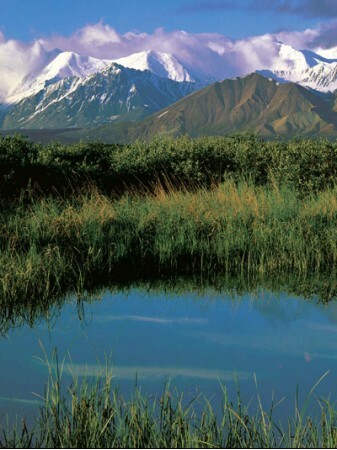 At the apex of the Alaska Range is the mighty Mount McKinley; massive centerpiece of Denali National Park and Preserve and North America's highest mountain. 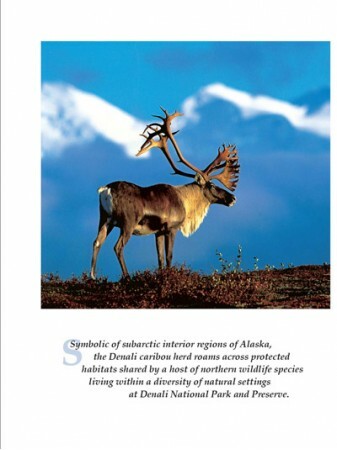 For centuries, people have been attracted to the region's dynamic scenery and abundant wildlife--bear, sheep, moose and caribou--which roam freely through cold and remote settings. 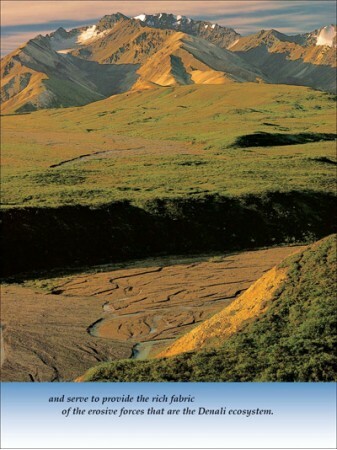 Here, we witness wild landscapes and watch dynamic struggles of life and death in a subarctic ecosystem. 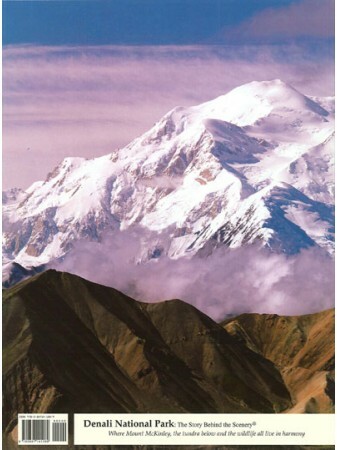 Indescribably beautiful, the Denali wilderness tests the scope of physical endurance and often provides supreme adventure. 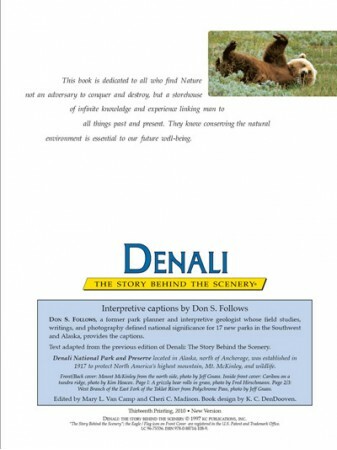 Denali, the Story Behind the Scenery, escorts the reader on a stunningly interpretive festival of brilliant illustrations, photographs and descriptions. 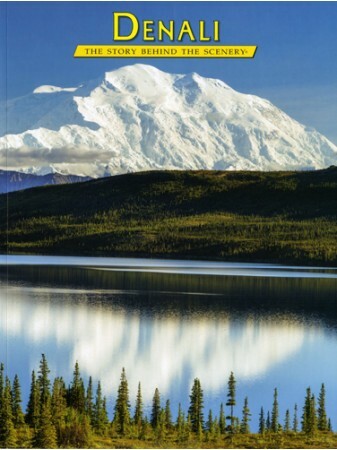 This wonderful book provides an in-depth tour of the tundra, massive active glaciers, soaring mountain peaks, forests, rivers and wildlife that surround what the original Athabascans called "The High One" - Denali. 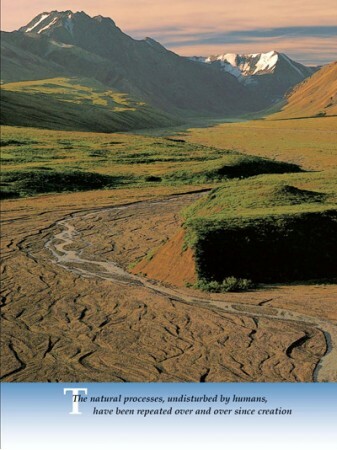 9" x 12", Paperback, 48 pages, 87 color photos & 2 maps..